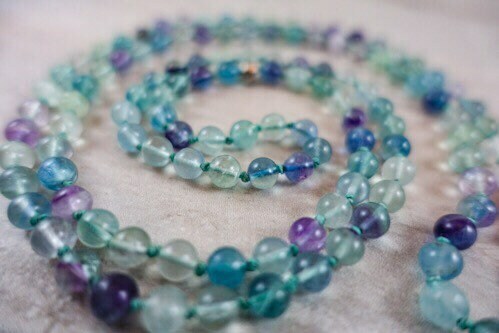 The appearance of fluorite might be a sign that it's time for a major emotional change. 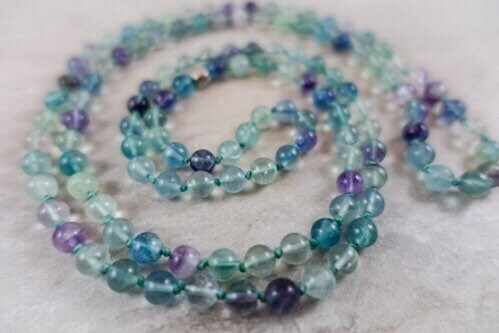 When confusion clouds your mind, rediscover the path to happiness with an all over mind-body-spirit detox using the fluorite crystal, your spiritual pal. Get rid of cluttered thoughts and negative patterns no longer serving your best interest. 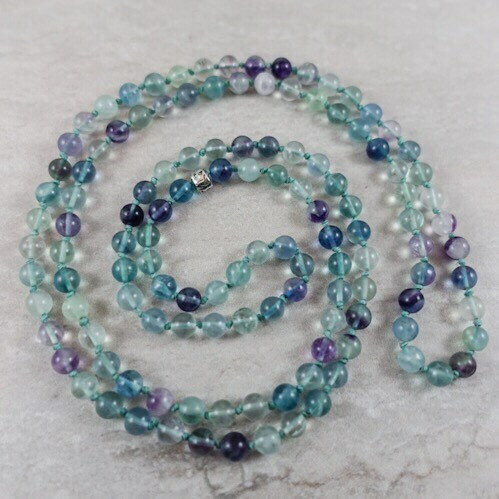 Fluorite balances the third eye chakra and clears away the fog so that the road to joy is clearly lit and protected from negativity. 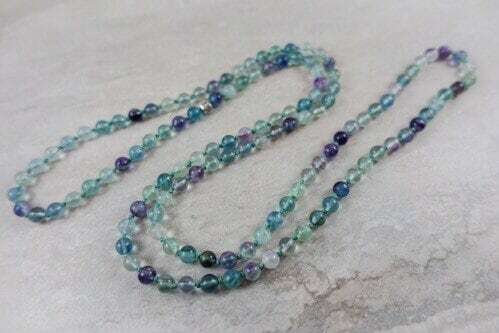 The cool hues in this rainbow fluorite are hand-knotted in sage green Irish linen thread and finished with a rustic sterling silver bead. 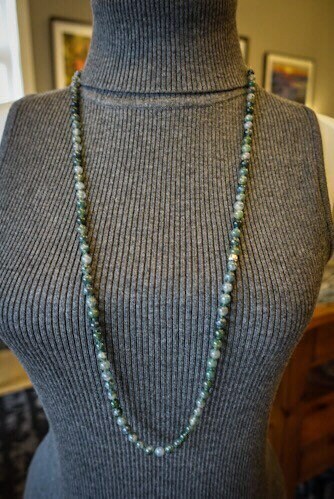 This piece measured 36 inches in length and is perfect for layering.